Anthony J. Tango 79, of Union passed away on August 27, 2018. Beloved husband of Theresa (nee Restaino). Loving father of Anthony S., Gina Rose Corrao, her husband Larry, Theresa Savinelli, her husband Vincenzo and Toni Tango. Brother of Margaret Genova, husband Tony, Lena Bonanno, husband Angelo and the late Joseph, Vito, Patsy, Mario, Salvatore, Rose Dennis, Philomena Mansueto. 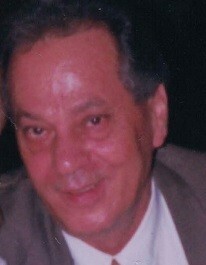 Loving grandfather of Lauren, Stephani, Victoria, Nicoletta, Dominic, Gian Anthony, Nicholas Angelo and Carmine. Anthony was born and raised in Newark, before moving to Union in 1966. He owned and operated the Main Street Barber Shop in Belford, NJ for 49 Years before his retirement. He was a lifetime member in the 3rd degree at the Hillside Knights of Columbus. His greatest love in life was his wife and grand children along with working in his garden and barbecuing with his family. Funeral from the Galante Funeral Home 2800 Morris Ave. Union on Friday at 8:30AM. Funeral Mass at St. Michaels Church in Union at 10:15AM. Entombment at Holy Cross Chapel Mausoleum.